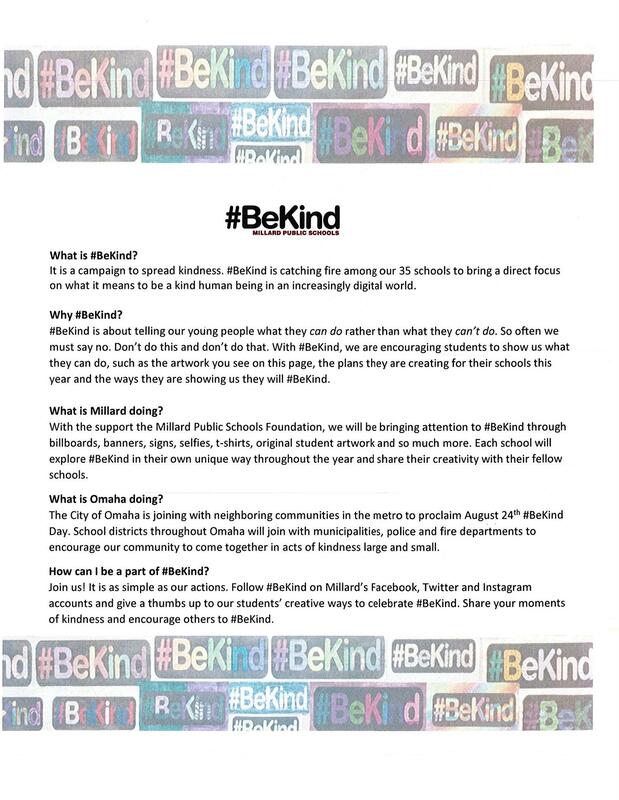 As part of Kim Saum-Mills’ update about Millard Public Schools at the August 6th meeting, she told us about the #BeKind campaign, which kicks-off with the start of school, this month. Below is a message from her about this City-wide campaign, so that you are each aware. The attached flyer explains more about Millard Public Schools’ involvement. Please contact Kim with questions or for more information and to find out how you can get more involved, yourself, and/or for your company. Thank you for your support for Millard Public Schools.